Enjoy the peace and solitude that comes from staying in a private reserve, far from tourist crowds – and any other people for that matter! 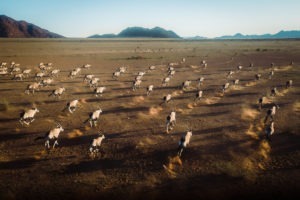 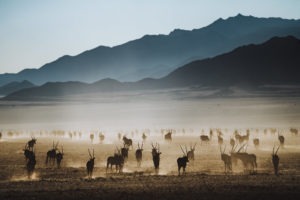 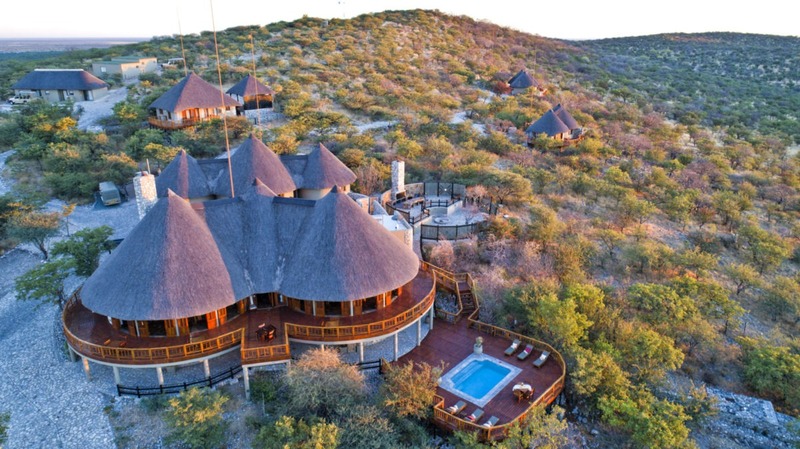 Etosha Mountain Lodge lays on the side of an iconic dolomite hill southwest of Etosha National Park in the exclusive Etosha Heights Private Reserve, which is one of the largest private reserves in Namibia, sharing a 65 kilometre border with the famous National Park. 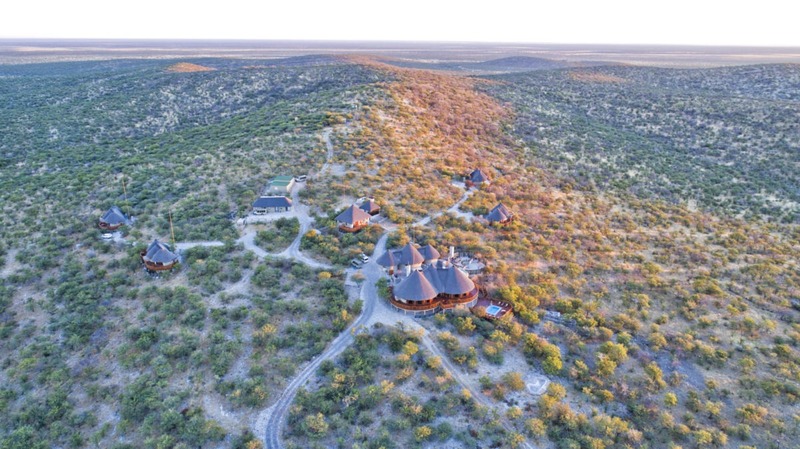 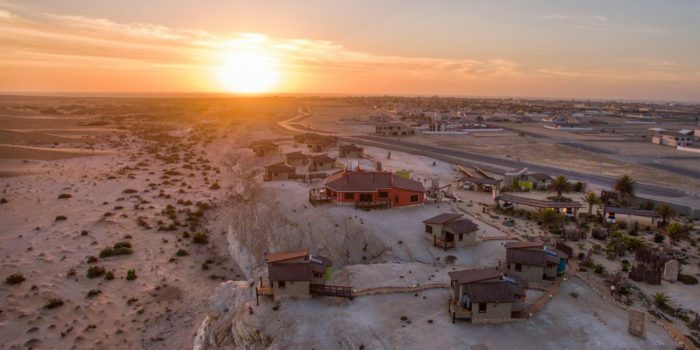 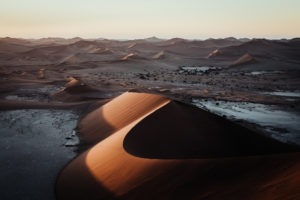 The reserve offers a robust 600 square-kilometres of unspoiled wildlife, landscapes, and tranquillity; truly a place to reconnect with nature and escape the modern stresses of life. 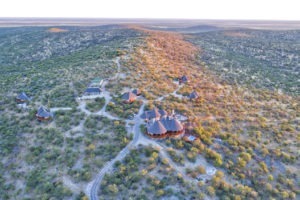 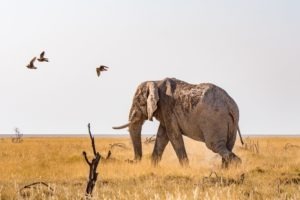 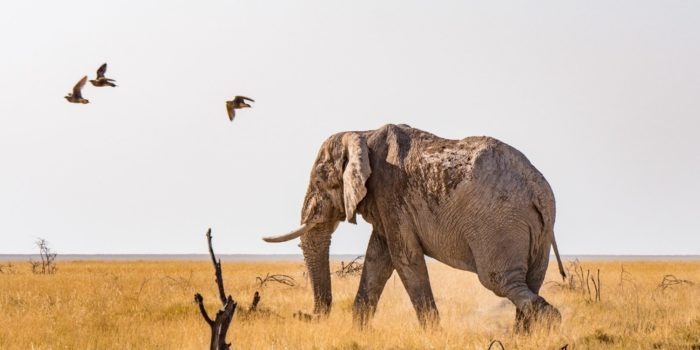 The savannah is punctuated by pods of mopane woodland, thick riverine forest and those iconic waterholes, attracting animals from far and wide. 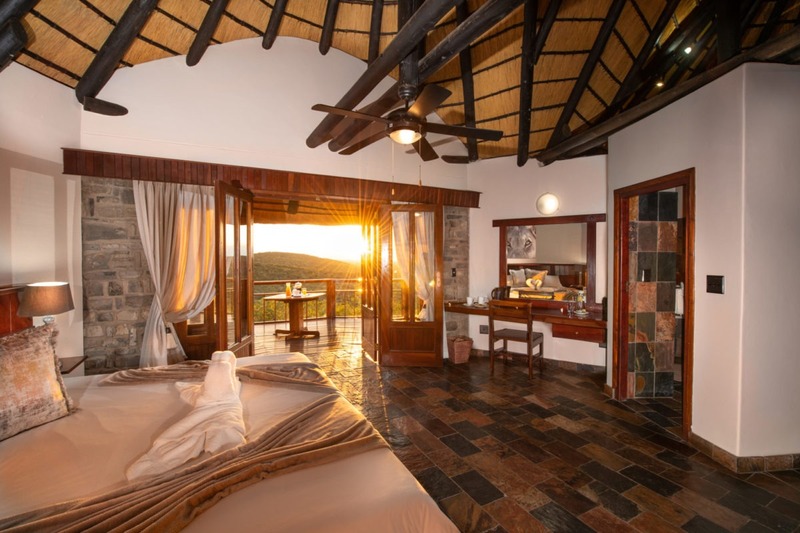 The lodge only offers seven comfortable chalets with 180 degree views, all with ensuite bathrooms, indoor showers and enormous bathtubs, perfect for sinking into after a busy day wildlife-watching. 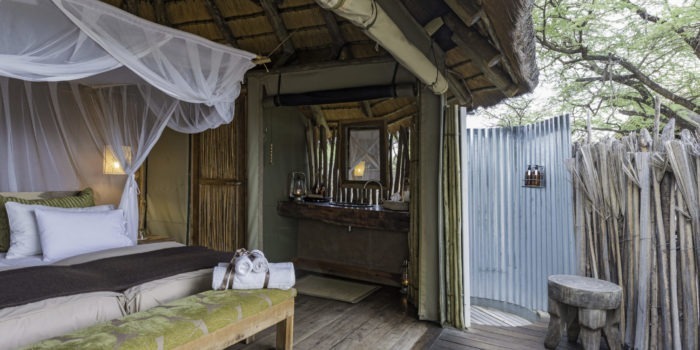 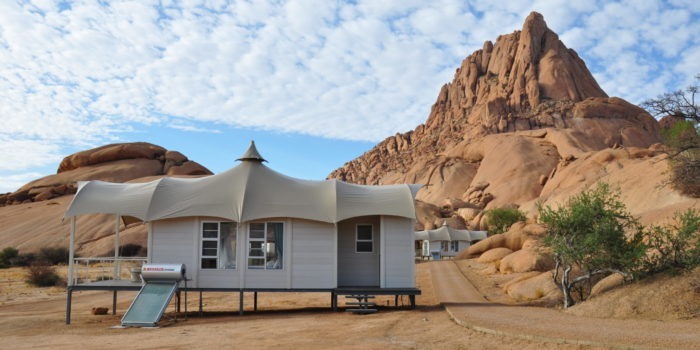 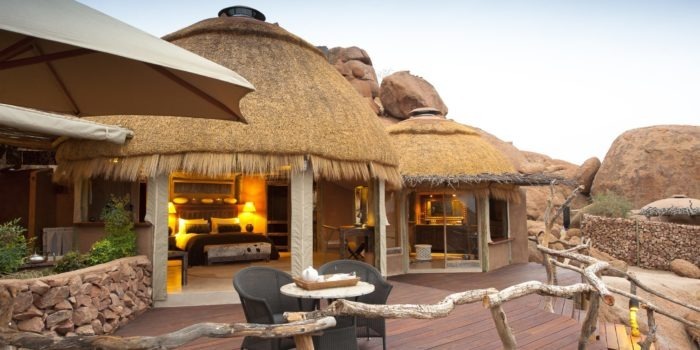 A bright lapa area is the feature of the camp, and under the thatch, you’ll find the restaurant and bar, as well of plenty of sitting areas, just waiting for a sundowner cocktail. 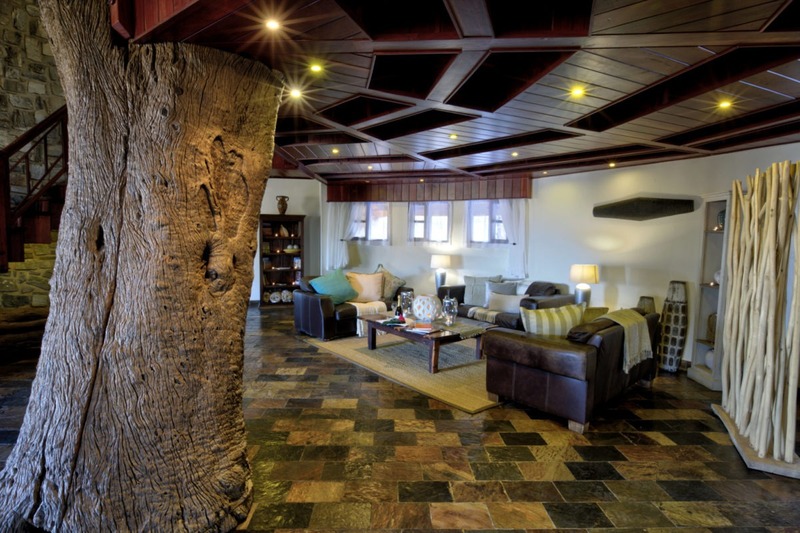 There’s also a well-stocked wine cellar, a curio shop and a swimming pool. 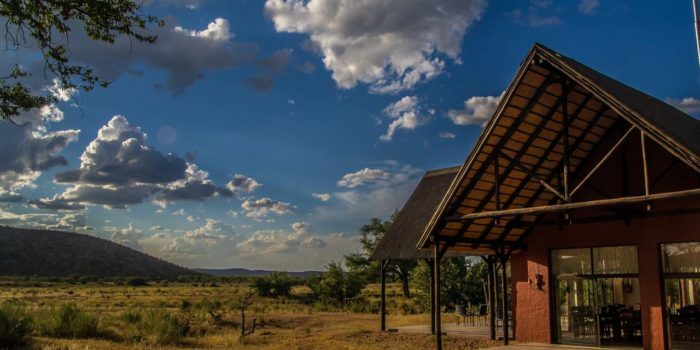 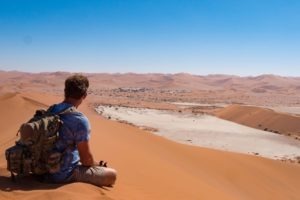 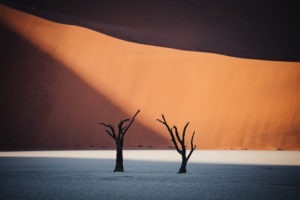 And no matter where you to choose to relax, the panoramas stretching ahead are magnificent; think dramatic skies, vast plains, and wildlife wandering to and fro, right in front of your eye. 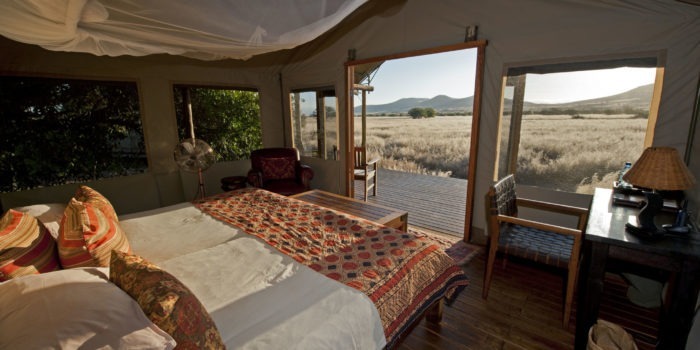 Activities include morning and afternoon game drives in the private reserve. 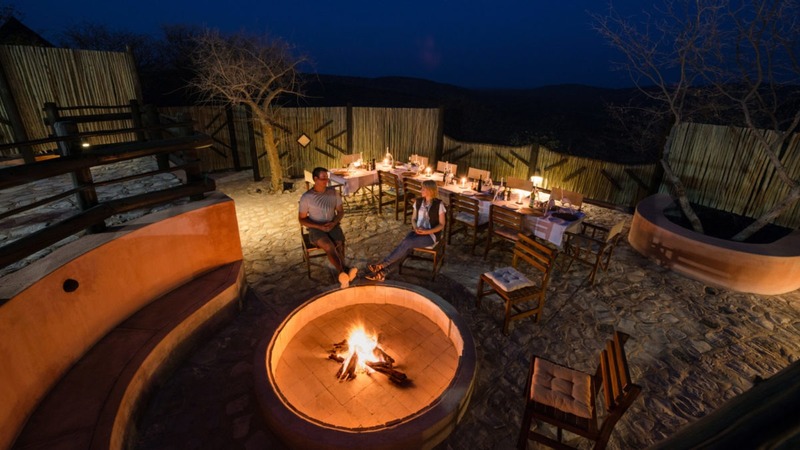 Go out in search of big cats and watch for signs of elephant on the horizon; watch all the action at the waterhole in front of camp; hop on a night drive with some of the best guides out there; and, of course, track endangered rhino, the icons of the area. 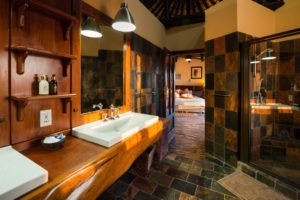 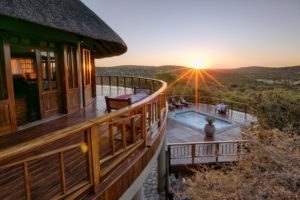 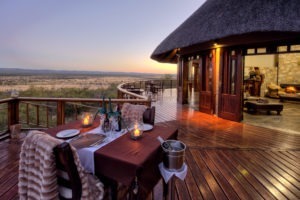 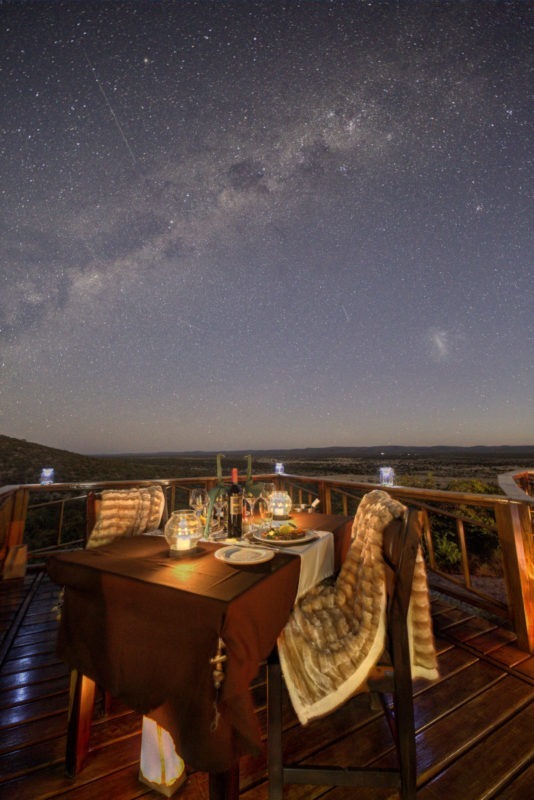 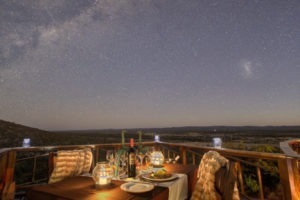 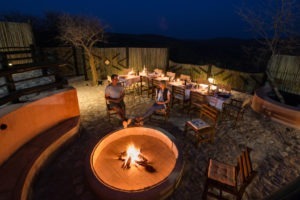 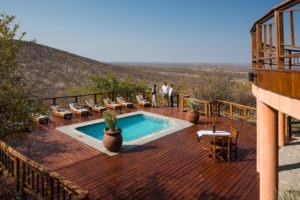 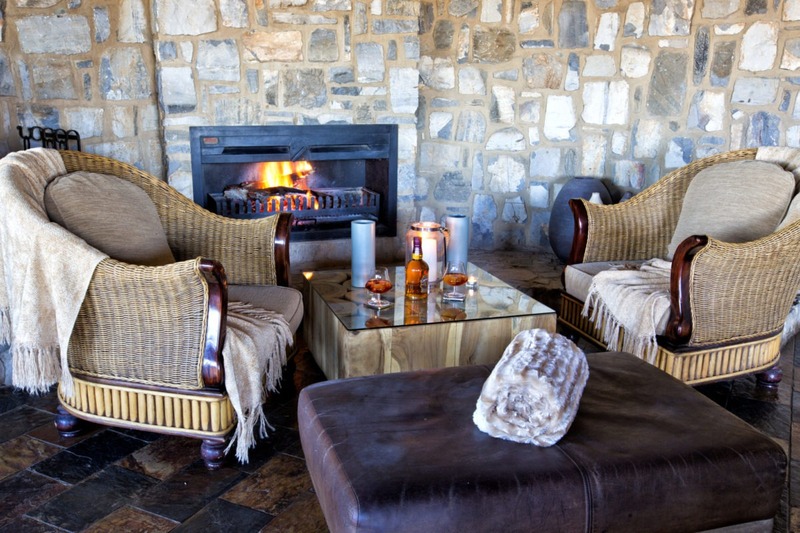 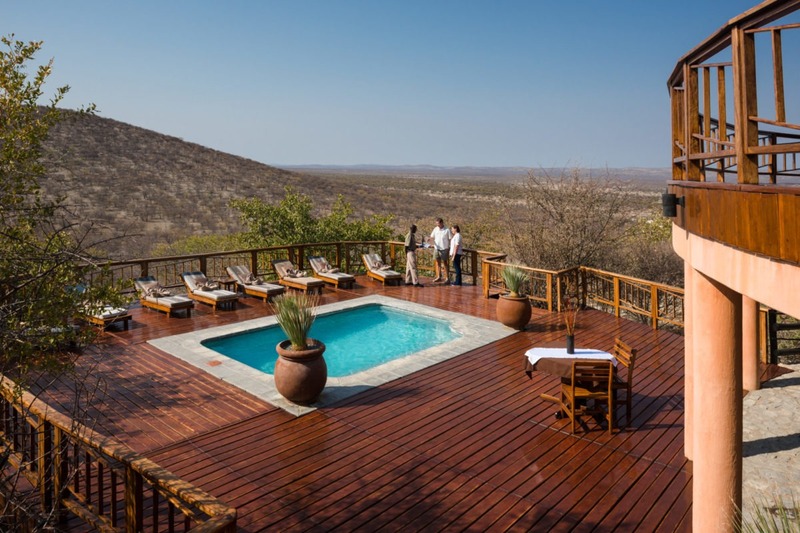 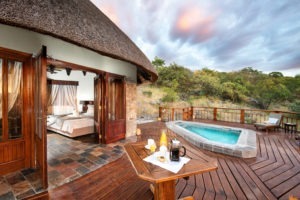 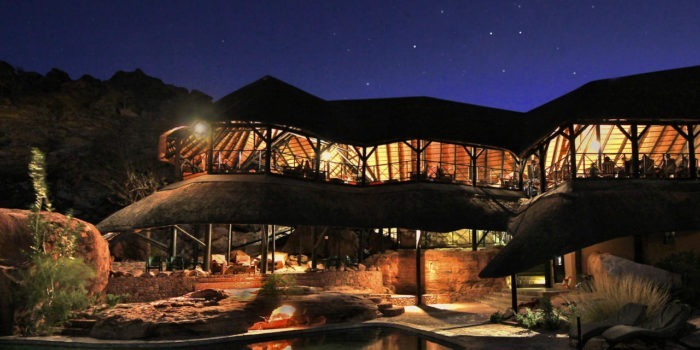 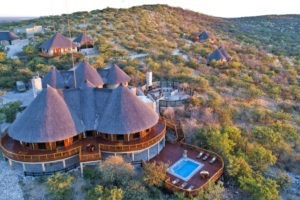 Close to Etosha National Park, still the lodge feels private and exclusive. 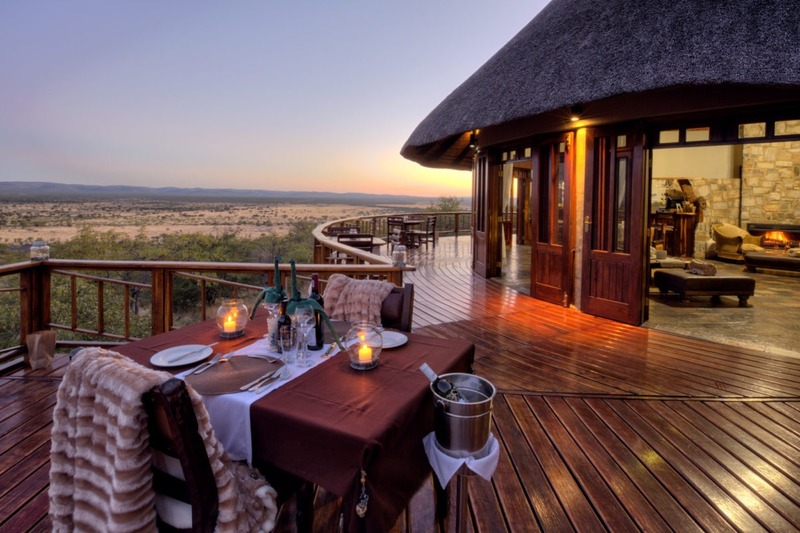 Stunning views over endless landscapes. Only seven chalets, perfect for a private and personal experience. 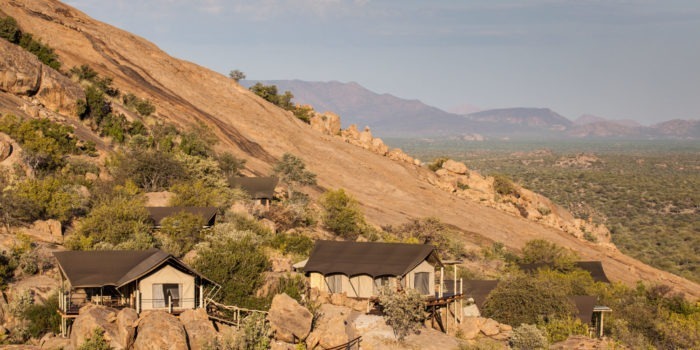 Located in an area that’s renowned for high populations of endangered black and white rhino.